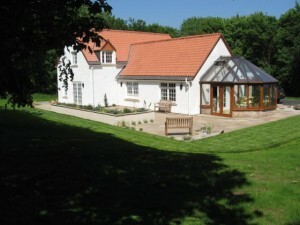 Denis Duncan House is the Trust’s second accessible holiday cottage and is situated on the village green in Manse Road in the village of Dirleton, which is 24 miles east of Edinburgh, and 2 miles south west of the coastal town of North Berwick on the Firth of Forth. 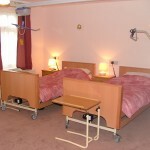 Denis Duncan House offers the disabled holidaymaker state-of-the art holiday accommodation in a unique setting. The accommodation comprises of one accessible twin-bedded bedroom on the ground floor with en-suite bathroom. 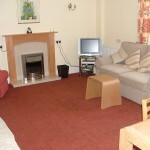 There is also a kitchen, sitting room, dining room, utility room, WC and conservatory on the ground floor. 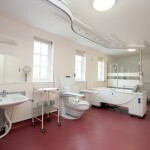 Upstairs there are two twin-bedded bedrooms, a bathroom and a carer’s sitting room. The cottage sleeps a maximum of six people.